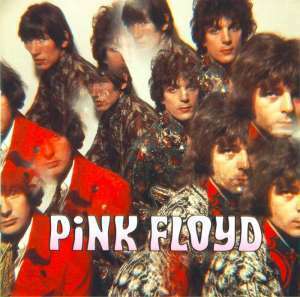 The Piper at the Gates of Dawn is Pink Floyd's debut album and the only one made under Syd Barrett's leadership—although he made some contributions to the follow-up, A Saucerful of Secrets. It has been regarded as one of the most influential albums ever made, being a tremendous influence on the psychedelic rock scene of the time and much of what followed. The album has whimsical lyrics about space, scarecrows, gnomes, bicycles and fairytales, along with psychedelic instrumental passages. The album was initially released in 1967 by Columbia/EMI in the United Kingdom and Tower/Capitol in the United States; special limited editions were issued to mark its 30th and 40th anniversaries in 1997 and 2007. At the time of release, the album was received positively and in subsequent years the record is recognised as one of the seminal psychedelic rock albums of the 1960s. In 1967, both Record Mirror and NME gave the album four stars out of five. Record Mirror commented that "the psychedelic image of the group really comes to life on this LP, which is a fine showcase for both their talent and the recording technique. Plenty of mindblowing sound." Cash Box called it a "striking collection of driving, up to date rock ventures." Paul McCartney and Pink Floyd's past producer Joe Boyd, both rated the album highly. Some, most notably Pete Townshend, voiced the opinion of the underground fans, by suggesting that the album did not reflect the band's live performances. In recent years the album has gained even more recognition. In 1999 Rolling Stone Magazine gave the album 4.5 stars out of 5, calling it "the golden achievement of Syd Barrett". Q Magazine described the album as "indispensable," and included it in their best psychedelic albums of all time. It was also ranked 40th in Mojo magazines, The 50 Most Out There Albums of all Time. In 2000 Q magazine placed The Piper at the Gates of Dawn at number 55 in its list of the 100 Greatest British Albums Ever. In 2003, the album was ranked number 347 on Rolling Stone magazine's list of the 500 greatest albums of all time.